In the past most patients with problems needing attention on the same day were offered an appointment with a doctor or a nurse. This led to increased waiting times for routine appointments as many slots were saved for urgent problems. Some of these could have been dealt with over the telephone. By managing the urgent problems more effectively we are able to increase the number of routine appointments and reduce waiting times. When you initially speak to a nurse practitioner or doctor on the telephone, you will be offered either an appointment with the person who can most effectively deal with your problem, or an alternative option. This will provide you with more choices of how your problem may best be dealt with. 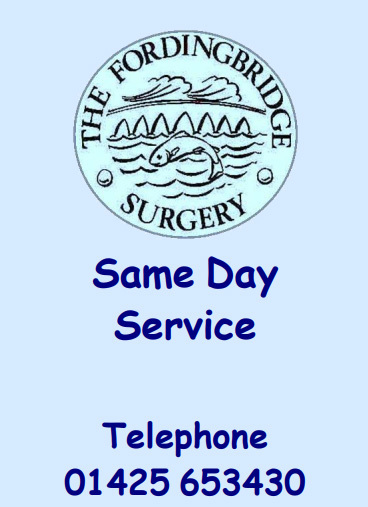 Click on the image to the left to download the Same Day Service Leaflet, which is also available as a paper copy at reception.